This quote by William Butler Yeats, one of Ireland’s most famous writers, illustrates a problem we have in the plain language community. We create a multitude of written material, but we rely primarily on logical structures, plain language style, information design principles, but we pay little attention to how readers respond emotionally to what they read. We know our audience, when faced with complex text, responds with anger, frustration, and fear. But what can we do about that? 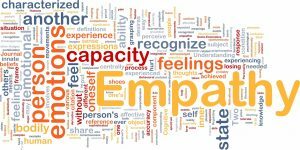 We need to write with empathy. 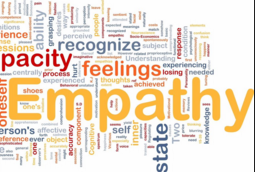 Cognitive empathy is the largely conscious drive to accurately recognize and understand another’s emotions. Why is that critical for plain language writers? Because people respond to what they read with their emotions and then use data and logic to justify that decision. We, on the other hand, write as if the emotional response had far less power than it does. The marketing world has long been aware of how people respond and act based on their emotions. They use fear, guilt, trust, value, belonging, competition, instant gratification, leadership, trends, and the pressure of time to motivate people to purchase products and services. The emotions we could be expressing and eliciting are trust, confidence, relief, protection, and understanding. We should help the reader trust what we say, have confidence in their decisions, feel relief that the text was easy, feel that the company or government agency has their back, and easily understand what action they should take. If we can do that, if we can write with empathy, we will have responded to a person’s need to be understood and to understand. 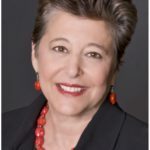 About the author: Deborah S. Bosley is the Owner and Principal at the Plain a Language Group. She is a board member at The Center for Plain Language.